Selling a business successfully is not a foregone conclusion. Most business sales fail without adequate time spent to prepare your business for sale. With more focus on preparation, more companies would find a new home. 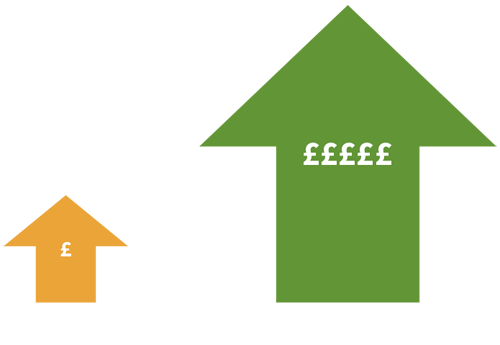 Contact us today, and we will send you our free market report ‘The 9 Ways to increase your Business Value’. Most owners need an external view of their company, to look at it from the buyers’ perspective. Warts and all. The truth hurts, but it is best to be prepared so that positive action can be taken and you can be ready. Buyers tend to see a lot of sale opportunities. Being time-poor, they will make initial snap judgements after reviewing superficial financial and trading information. Are you confident your business stands out? What are your numbers telling the market? Much can be done to improve the overall picture and increase the attractiveness of your company. Then it gets to the detail: how persuasive are you? It is our view that if it is the financial information unlocks the initial interest, it is the rest of the material and the relationship that makes or ruins the deal. Most owners think that buyers are only interested in income and ROI, but you also need to convince on several fronts. How does your management team look? Are your customers on board and recurring? Do you have process in place to manage your sales and operations? What would a transition look like? To be really attractive to a buyer, you and your business must be ready for considerable scrutiny, across all areas of operation. And that planning needs to start day one. 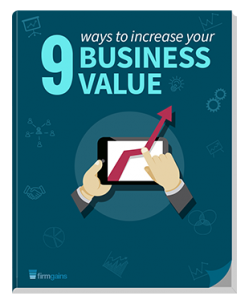 So what are the 9 ways you can increase your business value? We have researched and compiled a detailed industry report, available on request to anyone who contracts Firm Gains. It will help you start looking at your company from the perspective of your future buyer. Having worked in the market for many years, we can also take a look at your business and help you improve not just your chances of sale but, as importantly, the figure your company will eventually be sold for.